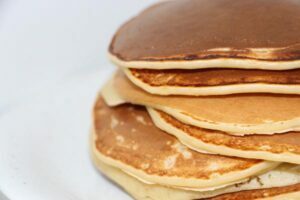 –The Templeton Fire & Emergency Services Department will be preparing breakfast for the Templeton High School Senior’s Sunrise Pancake Breakfast on Tuesday, Aug. 23 (first day back to school) at the Templeton Fire Department located at 206 5th St. The Senior Class Leadership Team, who is supplying the breakfast ingredients, asked the fire department to handle the cooking due to their know-how and expertise in flipping flapjacks. The school will be providing all the supplies for the breakfast. Firefighters will be cooking breakfast in the engine bays. THS seniors will be able to pick up their breakfast in the engine bay and walk across the street to the Templeton Park picnic area to eat their meal. The breakfast begins at 6:30 a.m. as the students need to arrive to school by 8 a.m.
We believe this will be a positive photo opportunity for local media. If you are unable to attend but would like photos please let us know and we will do our best to forward pictures to you. Contact Fire Captain Broom at (805) 434-4912 for more information.